Money Q&A: How can I give something back this Christmas? Q: Money is tight, but I’d like to give something to charity this Christmas. What would you suggest? A: I’ve just heard of this great online giving company called Give as you Live who can help you donate to charity without costing you a penny. 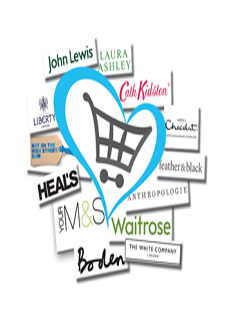 Simply shop for all your festive gifts through their site giveasyoulive.com. Over 2,000 stores have signed up to the service, everyone from Tesco, Argos and John Lewis, to Zavvi, iTunes and lastminute.com, so you won’t have any trouble finding the gifts you want. When you buy a gift via the Give as you Live site, the store you bought it from will make a donation to charity. For example a gift of the Fifty Shades Trilogy (£14.99) will make 37p for charity. While a Lego Batcave (£69.99), could make £1.75 for charity. Every single one of the 220,000 registered UK charities are supported through Give as you Live and, best of all, you can track your fund-raising through your Give as you Live account. That’s what I call guilt-free spending!